From the Rana Plaza collapse in 2013, which led to the deaths of an estimated 1,134 people, to revelations of carcinogenic pollution around materials factories in India and Indonesia, it’s clear that organisations operating globally, either through their own operations or the supply chain, are falling short of their responsibility to local staff and communities. The Chartered Quality Institute (CQI) has closely monitored safety standards throughout its near five-year development. Estelle Clark, Director of Policy at the CQI, looks at six ways European businesses can protect employees, as well as those in extended international supply chains. For ISO 45001 to take effect, businesses need to change their mindset. 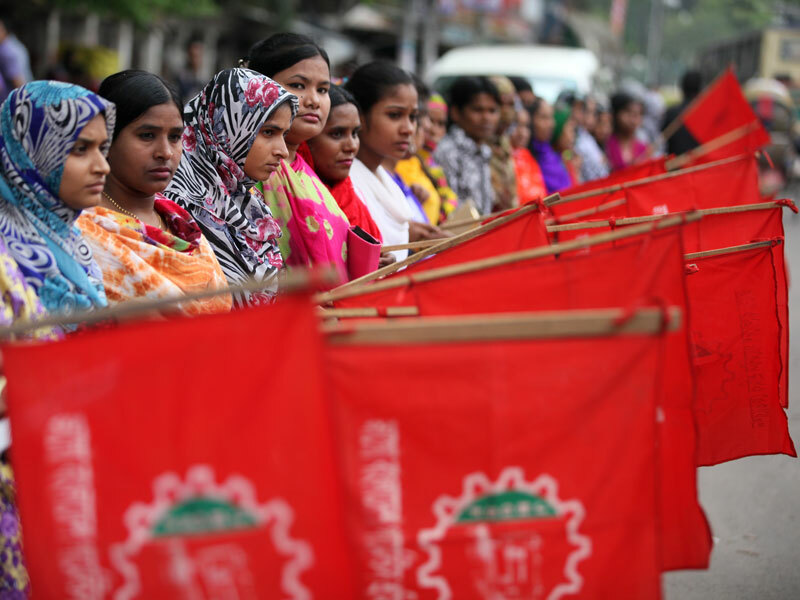 Instances like the Rana Plaza collapse demonstrate that society expects employee welfare to be considered throughout the supply chain, as well as business operations. It has never been morally justifiable for workers to be placed at risk simply because of where in the world they work. Those who are located remotely from the corporate ivory tower have the same right to work in a safe environment as anyone else. If safety standards aren’t being met, senior management need to be confronted with the situation. Those at the top of the company must demonstrate that they are going further than just acknowledging the need for occupational health and safety management, but that they are engaging in the implementation of these measures too. This is emphasised in ISO 45001 by the removal of the requirement for a “management representative”. Instead, health and safety becomes an intrinsic part of strategic and operational activity at all levels of management, rather than being the responsibilty of a single representative with their own management structure and processes. Executives may find it uncomfortable viewing, but when workers die or are injured doing their job, executive needs to be made aware and take action. The key responsibility of any manager is to ensure that their staff leave work as physically and mentally able as when they arrived. One of the key requirements of ISO 45001 is that outsourced processes are controlled. This includes procuring products and services, but also ensuring contractors and their workers meet the requirements of operational health and safety management systems. It’s important that businesses consider what they’re asking people to do and if they’re going to be safe while they do it. In order to ensure international supply chains are protected, organisations must demonstrate that they have taken action to address any factors that may diminish the ability of the occupational health and safety management system. Such factors can be categorised as either: policy level, usually overseen by top management and related to the organisation’s strategic planning and aims; or operational, which are directly related to workers’ operational health and safety. The aim is to identify and address potential sources of harm before any damage is caused. Communication with interested parties plays an important role. Organisations need to be sure that the information provided is consistent with the information within the safety management system and that it’s accurate, timely and properly directed. ISO 45001 is by no means a fix-all solution. It is, however, a much-needed first step. It’s not, and never has been, justifiable that a person’s safety at work depends on the country in which they are working. Major businesses must now encourage suppliers to work towards the adoption of ISO 45001 and make certification a requirement of their purchasing and specification process. To support businesses looking to implement ISO 45001, the CQI has created a free whitepaper, which can be downloaded here.